TOMRA's X-TRACT, on display at ISRI 2019, employs X-ray transmission (XRT) to sort materials according to differences in density. 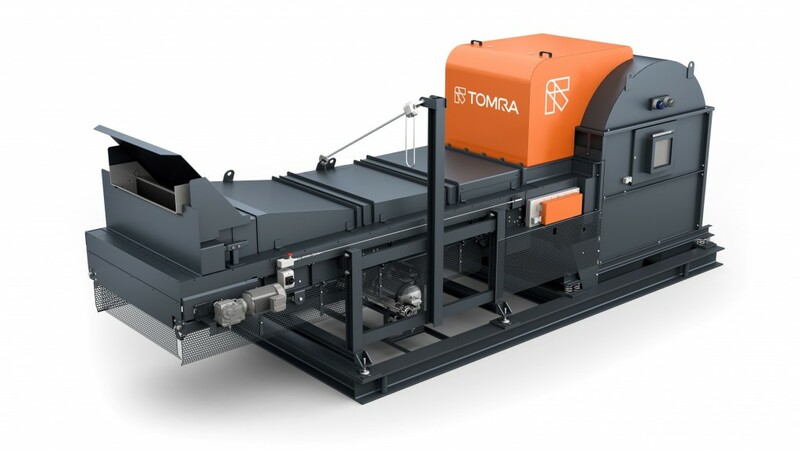 TOMRA's ISRI exhibit will highlight how scrap and metals processing facilities can upgrade metal fractions, like Zorba and Twitch, using TOMRA X-TRACT and COMBISENSE sorting equipment. Team members will also give visitors a glimpse into the future of sorting through TOMRA's exclusive ability to network sorting equipment via new TOMRA Insight, which harnesses the power of equipment data to deliver fact-based decision-making and improve operating excellence. "Market challenges have metal processors searching for new sales opportunities for their products, and our X-ray and color-based sorting technologies are cost-efficient solutions for upgrading Zorba and Twitch purity, making these products more valuable," says Eric Thurston, sales manager metals - recycling for TOMRA Sorting, Inc. "Recent sensor and software upgrades to our X-TRACT machine are delivering 20-percent more aluminum yield for customers, meeting and exceeding the performance of well-run dense media plants. At the same time, operating costs for TOMRA's systems are roughly 20 percent that of dense media, creating significant value for processors." Separating aluminum from heavy metals to upgrade Zorba into a higher value product, TOMRA's X-TRACT employs X-ray transmission (XRT) to sort materials according to differences in density. Recently released Dual Processing Technology enables X-TRACT to distinguish between multiple material characteristics on the sorting belt, a significant advantage when running lines at high throughput levels. Upgrades to X-TRACT's X-ray sensor and software boost aluminum sorting by 20 percent, rivalling purity rates achieved by dense media systems. X-TRACT features the new TOMRA CUI, an intuitive user interface that optimizes the sort and shows operators the most relevant real-time process data at a glance, so fast adjustments can be made at any time. When used in combination with X-TRACT, TOMRA's COMBISENSE technology uses color-based sorting to detect and separate copper, brass, zinc and stainless steel heavy metals, resulting in high-value mono fractions with up to 98 percent purity. Dual Processing technology delivers unsurpassed color detection for exceptional purity levels, regardless of feed grain size. TOMRA's exclusive FLUIDCOOL LED technology delivers a constant light source, independent of temperature changes, to produce consistent and reproducible sorting results.